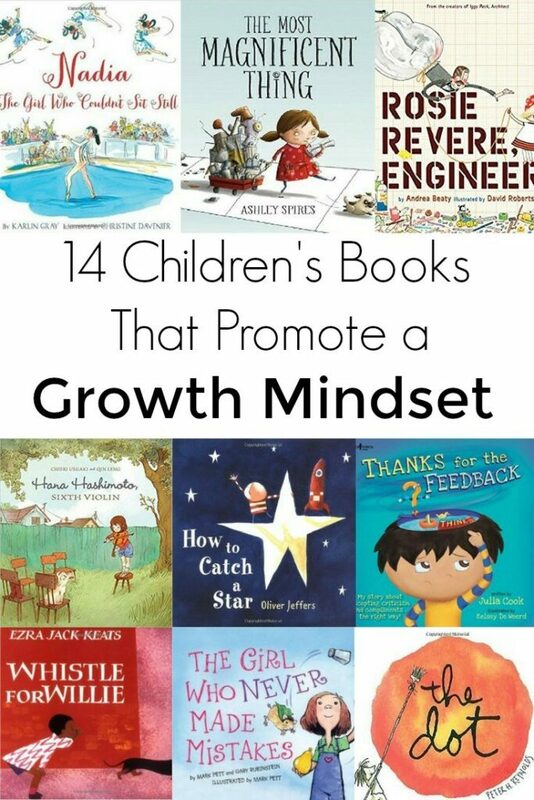 Help reinforce a growth mindset in your kids with these fourteen children’s books. If you have kids in school, read parenting articles, or work in education, you’ve most definitely heard the buzzword – “growth mindset”. Growth mindset refers to people who think of intelligence as something that can improve and grow with effort and hard work. The term was coined by psychologist Carol Dweck in her best-selling book, Mindset, The New Psychology of Success. People with a growth mindset, Dweck explains, tend to experience greater success in work, relationships, and life in general than those with a fixed mindset – or people who feel intelligence is set at birth, unmalleable, and impossible to change. I remember when I first read Mindset a few years ago – the message in the book was revolutionary. I began to see how much of a fixed mindset I had – placing limits on my abilities and not taking on challenges for fear of failure. 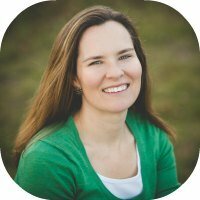 I also started to notice ways I would talk to my daughters that suggested a fixed mindset. Instead of praising their efforts I was praising their results and would caution them instead of encouraging them to take on risks. Changing the way we talk to our kids is one step towards helping to reinforce the message of a growth mindset. 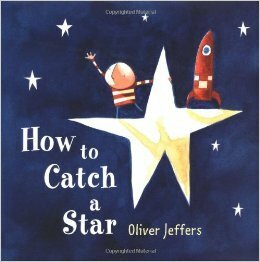 Another is to read books to kids with stories that convey a similar message. 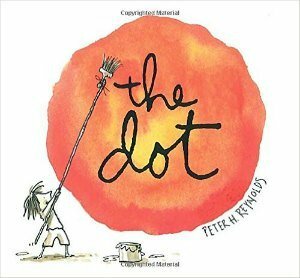 Below are fourteen books that let kids know it’s OK to not at first succeed, that failure and challenges can be viewed as opportunities rather than dead ends, and that determination often results in a far better outcome than being perfect. 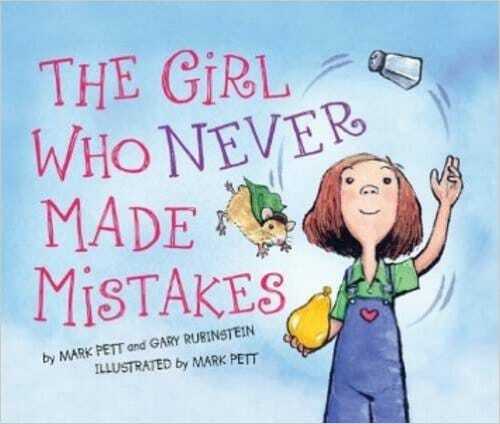 Beatrice is a girl who never makes mistakes – not ever. Until one day she comes close to dropping a few eggs (a mistake) and thereafter her life is governed by the fear of one day making a mistake. Beatrice begins limiting her activities so she will never make a mistake. But Beatrice learns an important lesson about making mistakes after something unexpected happens at the school talent show. A young boy has a hypothetical problem and he doesn’t know what to do with it. He’s scared of his problem, tries to hide from it, and worries about his problem. Until one day, even though he’s still afraid, the boy can’t take it anymore and decides he must face his problem. He then discovers that his problem wasn’t as bad as he had made it out to be and even contains something special…opportunity. 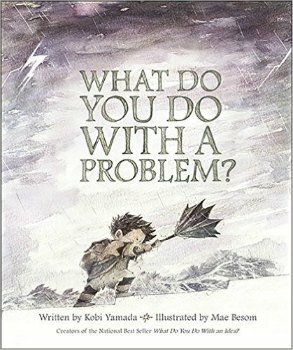 From the same author of What Do You Do with a Problem?, is a story of a boy with an idea. Despite having an idea and liking it, the boy brushes it aside and worries what other people will think of his idea. The idea sticks with him, however, and eventually the boy decides to share his idea with other people and some people DO say it’s not a good idea and won’t become of anything. Eventually, though the boy realizes that these other people may not know what they’re talking about. 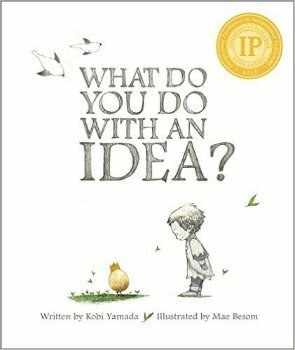 The story ends with an empowering resolution of what can come from the pursuit of good ideas. 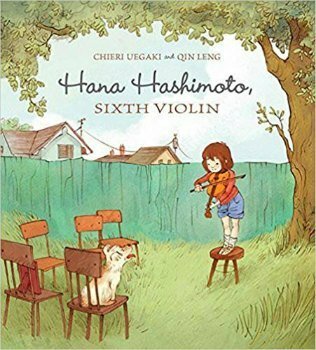 Hana Hashimoto has only taken three violin lessons yet she still signed up for the local talent show. Her brothers think she’s crazy since she’s just a beginner but Hana is determined…that is until just before her time to go on stage. But remembering advice from her grandfather – also a violinist – Hana performs her act, experiencing her own form of success. This is the story of Nadia Comaneci, the famous women’s gymnast who received seven perfect scores in the 1976 Olympic Games. 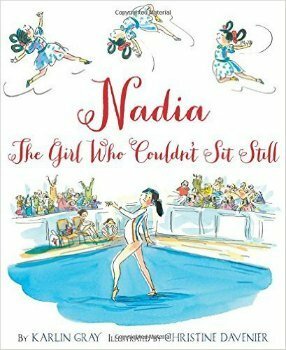 While Nadia was always busy (couldn’t sit still) and seemed to be a natural for gymnastics, her path to stardom wasn’t without bumps along the way. When she was nine, Nadia fell three times on a beam exercise at the National Junior Championships competition and came in thirteenth place. While disappointed, Nadia continued to practice and try to perfect her routines – and the rest is history. Not all artwork is perfect, and in fact, sometimes mistakes can turn into wonderful designs! 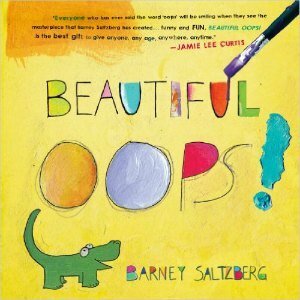 Beautiful Oops is a fun, visually appealing book that shows the creative process isn’t always perfect and making mistakes can turn out to be excellent opportunities. The companion book, My Beautiful Oops, is a hands-on journal that’s sole purpose is to be torn up, folded, smudged and otherwise artistically wreaked. 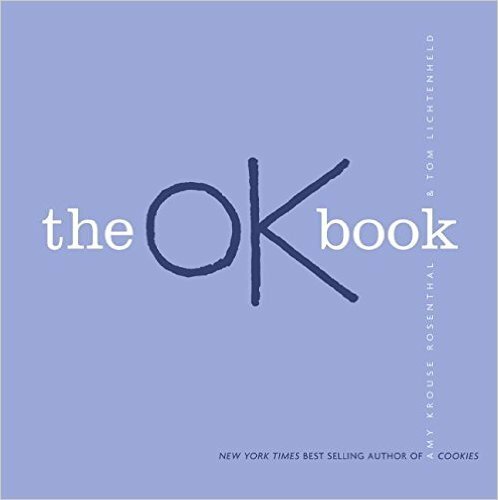 This simply written book outlines a series of activities that the main character, a stick figure, is OK at – showing kids it’s alright to just be OK at many things. The stick figure acknowledges that one day he’ll grow up to be excellent at something, but he doesn’t know what that is yet, and that too is OK.
Rosie has big dreams of becoming an engineer and spends most of her time tinkering and making machines. Until one day when the uncle she loves most giggles when she shows him a hat she made from parts of a fan and cheddar cheese spray. After that, Rosie begins to keep her dreams to herself. 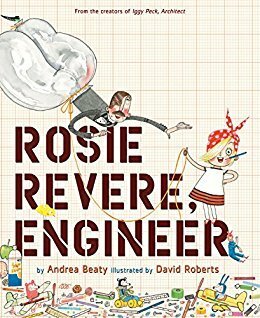 It’s not until a great aunt comes to visit and tells Rosie about building airplanes that she helps Rosie see how failures can be turned into opportunities. Vashti feels she’s can’t draw, so after art class, her piece of paper is still blank. 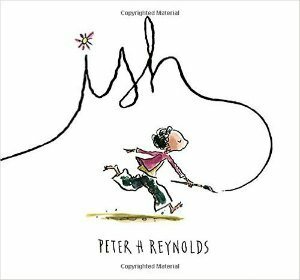 With a little subtle encouragement from her teacher and a growing desire to improve, Vashti discovers that she can, in fact, draw and even comes to encourage another student to overcome his discouragement. Ramon loves to draw – anytime and anywhere. But one day his older brother Leon makes fun of Ramon’s work and then all of a sudden drawing is no longer the joy it used to be. Fortunately, Ramon’s little sister Marisol sees things differently and lets Ramon see that sometimes art is more than getting things “just right”. A valuable tale for any child who questions their artistic ability. 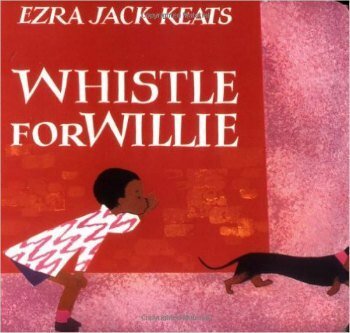 In this classic tale, Willie is determined to whistle. It’s not easy and takes a lot of practice but Willie doesn’t give up. He tries and tries until suddenly – he’s whistling! Thanks for the Feedback, I think. 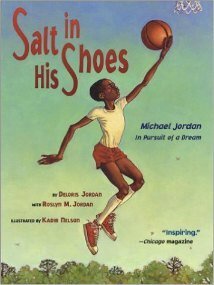 This story follows a boy named RJ as he does the things he enjoys – such as blowing bubbles, playing soccer, and spending time with friends. But when a few friends give him compliments, RJ isn’t too sure how to respond. Later, he hears from his teacher and parents that there are a few things he needs to work on. 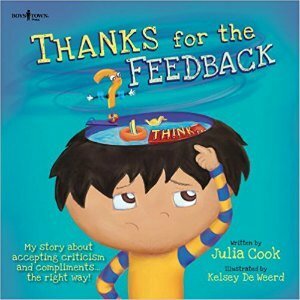 In the end, RJ learns what it means to receive positive and negative feedback and what an appropriate response is in each situation. 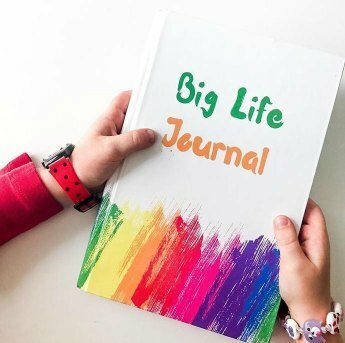 While not a book per se, Big Life Journal is full of growth mindset stories, poems, quotes, illustrations, and writing prompts, specifically to encourage a growth mindset in children. 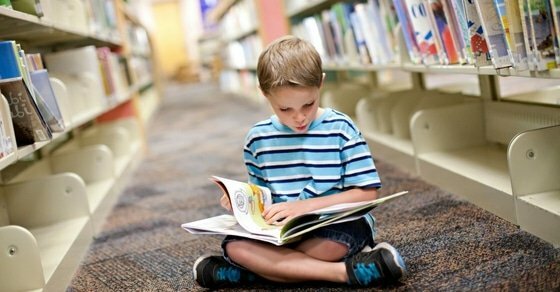 Through stories, kids will be inspired by the failures and successes of people like Elon Musk, J.K. Rowling, Walt Disney, and others. The journal is broken down into 26 weeks. And now there’s also a Big Life Journal for tweens and teens. See it by clicking here.